French accent marks are an integral part of French writing and correct spelling. Incorrect usage of accent marks, or the absence of them, can cause embarrassing mistakes and frustrating miscommunications. French students who want to become competent in reading the language must also understand how to use French accent marks. Keep reading to learn everything you need to know, including French accent codes to use while typing! So, what are the five accent marks in French and when do you use them? Four of the accents are only used on vowels, and one of them is only used on the letter C.
These symbols usually indicate something about the letter’s pronunciation or about the history of the word, which we’ll discuss later in this guide. 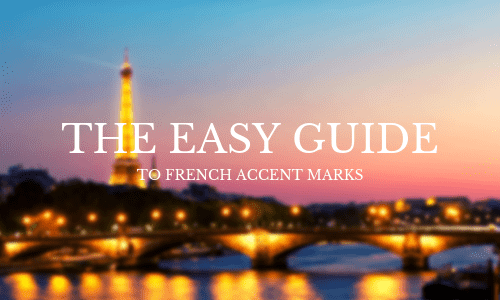 Check out the video below to get started, then we’ll move on to the specific rules about how to use French accent marks. You will only ever see the accent aigu on the letter E. The letter E can have many different pronunciations in French, so this accent mark’s placement tells the reader how to pronounce it. This particular sound is similar to the E sound in the English word “hey” or “say,” as compared to the E in “bed,” or the silent E at the end of a word. The accent aigu can be found in words such as un été (a summer) and une école (a school). The accent grave can also help to distinguish between two similarly pronounced (and spelled) words that have different meanings. This is the accent’s most common use on the letters A and U. Some examples include the words ou (or) and où (where), or the words a (has) and à (to). This accent is unique because of its historical significance. You’ll notice it on vowels that used to be followed by the letter S in French. When these S’s became silent over the course of several hundred years, French scholars decided to eliminate them from the words’ spellings. Instead of including a silent S on these words, they began placing the circonflèxe accent mark over the preceding vowel. Often, the dropped S will show up in English versions of the word that contain a similar Latin root. For example, la forêt translates to “forest,” also of Latin origin. The circonflexe can also help determine a pronunciation difference for A, E, and O. With “â,” the sound becomes slightly more rounded, as in pates (noodles). The “ê” is pronounced like the short “e” as in “set” in English, and as in the French word la tête (head). The “ô” is pronounced as a closed sound, as in allô (hello). In some places, the circonflexe can distinguish between homophones, such as jeune (young) and le jeûne (fasting), or un mur (a wall) and mûr (ripe). Occasionally, the accent is seen in other places too, such as the relatively new French word – émoticône (emoticon). This is a departure from the typical French pronunciation rule, where two adjacent vowels typically combine to form one sound. Of all the French accent marks, you will only ever see this one on the letter C. The çédille transforms the C sound from hard to soft. Examples include – français (French), un garçon (a boy), and deçu (disappointed). Note: The French C can also become soft when preceding the letters E, I, or Y, such as in la glace (ice cream). So the çédille is used primarily for those soft C’s that are followed by a letter other than E, I, or Y. Once you’ve become familiar with accent marks, chances are you’ll need French accent codes to type them out on your computer. Here are some helpful shortcuts for those who don’t have access to a French keyboard. If you’re using Microsoft Word on a PC, use the French accent codes below. (Note: Don’t try to press down all the keys at once; instead, press the keys down one at a time and hold until all are pressed). Don’t fret! There are accent codes for Mac users as well. Use the following key next time you need to type an accented French letter. Cédille (ç): Press Option c. (You do not need to press C an additional time afterward). As you master the five French accent marks, be sure you have help along the way. Experienced French teachers will know how to explain the intricacies of the language, and catch the common mistakes that many students make. Nothing can replace hard work and dedication to your studies, but consistent feedback from a reliable source is essential to really improve! If you can’t afford private lessons, try one of our free online French classes led by live instructors today. Carol Beth L. teaches French lessons in Sacramento, CA. She has her Masters in French language education from the Sorbonne University in Paris and has been teaching since 2009. Learn more about Carol Beth here! The French have an undeniably distinct accent that can be difficult for non-native speakers to perfect. Nevertheless, it’s not entirely impossible for non-natives to learn how to speak French. All it takes is some direction from your French teacher and a whole lot of practice. Below are five helpful French pronunciation hacks or shortcuts to help you perfect your French accent. One of the first French pronunciation rules is that you don’t actually say all the letters that are in a word. DO NOT say the ‘s’ sound, rather it sounds like ‘frong-say’. *See #4 for pronunciation of the ‘-an’ in the first syllable. DO say the ‘s’, but making it more like a ‘z’ sound, to sound like ‘frong-says’. There are some notable exceptions. Use this acronym to recognize when it’s possible to pronounce the consonant at the end of a word: CaReFuL. See the examples below. DO say the ‘c’ in truc to sound like ‘trook’. *The ‘u’ sounds like the English word ‘too’, not the English word ‘crook’. DO say the ‘r’ in hiver to sound like ‘e-vair’. *The ‘h’ is silent at the beginning of the word. One surefire way to sound more français or française is by linking the letter -s and the vowel in the word that follows. For example, ils sont (they are) and ils ont (they have) look very similar in writing. However, when spoken, there is a very notable difference. In the first, Ils sont, do not say the ‘s’ sound in ils, but DO say the ‘s’ in sont to sound like ‘eel song’, paying attention to not saying the -ng sound. In the second, Ils ont, the ‘s’ actually have the ‘z’ sound, which is known as a liaison, since the ils and ont are connected together. DO say ‘eel-zong’, paying attention to not saying the -ng sound. Sometimes, you will see a string of vowels in French that look a bit puzzling. Don’t do too much work, but rather make the one vowel sound, ‘o’. When pronouncing this group of vowels, your lips should also form the ‘o’ shape. Check out the examples below. Example one: Beau (handsome), which sounds like the ‘-bow’ in ‘rainbow’. Example two: Eau (water), which sounds just like the letter ‘-o’. The nasal sound in words like Bonjour (hello) and cent (hundred) is a very recognizable French sound. Non-French speakers can generally pick up that French is being spoken when hearing these sounds. Think of the English word, ‘song’. Say the word, but stop when you reach the ‘-ng’ sound. In the French word chanson (song), for example, it sounds like ‘shan-song’. Fin (the end) is the most difficult French sound to produce as well as the most used sound in French. While this may take the most time to master, you will definitely feel like a true français or française once this is achieved. It sounds a bit like you’re gargling water at the back of your throat. For example, Bonjour, Paris! (Hello, Paris!). The ‘r’ sound is at the end of Bonjour and in the middle of Paris. Practice saying this phrase five times a day and you’ll get it down fast. For even more tips to improve your French pronunciation, and sound like a native speaker, check out this quick YouTube tutorial. Keep these French pronunciation shortcuts in mind when you’re practicing your accent. If you concentrate on the proper pronunciation, you’ll be sounding like a real français or française in no time. Jinky B. teaches French lessons in Jacksonville, FL. She has her Bachelor’s of Arts in French, French Literature and Psychology from Florida State University and has over five years of teaching experience. Learn more about Jinky B. here! Studying for your AP French exam can be intimidating–not to mention overwhelming. Luckily, there are proven and applicable methods you can use to help set yourself up for success. Below are some of my favorite study methods that I suggest my students do before taking their AP French exam. You can either do these exercises by yourself or with your French tutor. Note, that these study strategies can also be used when preparing for the International Baccalaureate French exam. While it might seem a little soon, start studying two to three months before the AP French exam. The more time that you leave for review, the less time you should have to review each day. Consistent repetition is ideal for learning a language. Set aside 30 minutes a day to review a specific grammar subject; for example, agreement, prepositions, and articles. While it’s important to know the basic conjunctions, such as mais (but) and lorsque (when), it’s a good idea to start reviewing those special constructions that will you set you above your peers. Coordinating conjunctions for emphasis: ne…ni…ni (neither…nor) and ou…ou (either…or). Also, pay attention to those special conjunctions that are used with the subjunctive tense, such as quoique (even though). Make sure that you’re familiar with the conjugations of the three different verb groups: -er, -ir, and -re. Also, be sure to you know the conjugations of être and avoir. These are two verbs that you will encounter when conjugating not only the simple tenses of present, imperfect, and future, but also as a helping verb when writing in the passé composé and plus-que-parfait. Keep in mind that when using the passé composé with étre, there needs to be subject agreement. For example, Elles sont allées au cinéma. (They went to the movies). This is a group of women, so you must add an e and an s for agreement. One of the best ways to prepare for your AP French exam or to simply maintain your French comprehension is by listening to podcasts. Set aside five to ten minutes, ideally in the morning so that you’re able to start thinking in French without all the distractions of the day. Most French podcasts offer different levels, but you should be listening to ones at the highest levels. I recommend Coffee Break French because it’s quick and easy with the structured time frame. More authentic listening is ideal, so just tune into French radio. Most can be streamed online or via your phone. There are a ton of American movies that you can stream in the French language. When watching, try not display the subtitles because they do not always coincide with what is being said on the screen. Rather, sit back and watch the movie! Use your readily available sources. You’re most likely going to be in a classroom with other anxious students preparing for the AP French exam. Gather a group of students together and set aside 30 minutes to discuss a topic. It could be something that is pre-determined, such as a movie that everyone watched. Or it could be something more relaxed, such as speaking in French over lunch. This is the most important part of test preparation. Relax. You’ve prepared for months. Do something that you enjoy. Sleep well. Eat a healthy breakfast. Put yourself in a positive mind-set. Cramming last minute benefits no one. So, just know that you’re prepared and you will succeed! Now that you have some proven methods for success, go tackle your AP French exam with confidence. March 28, 2016 /0 Comments/in French, TakeLessons Teachers /by Suzy S.
Making mistakes is inevitable when you’re learning a new language. After all, you’re learning complex grammar rules, difficult pronunciation, and long lists of vocabulary words. Students often make the same French grammar mistakes over and over again. Being aware of these common grammar mistakes will help you avoid them in the future. Below are some of the most common French grammar mistakes students find themselves making, even when they are familiar with the rules. The first few mistakes relate to specific phrases that students have a tendency to misuse, while the rest deal with grammatical patterns that are quite complex. In English, when you greet someone in the early morning hours, you typically say “Good morning.” This English greeting doesn’t translate literally in French. In fact, the phrase “Bon matin” does not actually exist in the French language. Rather, one would simply say “Bonjour!” when greeting someone. A number of other literal translations can also be tempting. For example, you might want to express your interest in hobbies, people, and activities. Be careful not to literally translate the English phrase “I am interested in…” into French (eg, Je suis interessée dans…). Instead, say “Ça m’interesse” (That interests me) or “____ m’interesse” (____ interests me). To say “He misses us,” say “Nous lui manquons.” Remember that the English subject and object switch places when translated into French. Remember to make adjectives properly agree with feminine or plural nouns. For example, the adjective “amusant“ (funny) would be changed to “amusante” in the feminine singular and “amusantes” in the feminine plural. In English, adjectives don’t usually change based on the gender or number, so it’s easy for students to forget this important French grammar rule. French has more articles than English. Both languages use “a” and “the”, but French has separate articles to denote masculine, feminine, and plural of each one. Recall, however, that no neuter exists among French pronouns or articles. For example, a table is most definitely feminine, whereas the wall beside it is quite masculine. Remember to use the correct preposition and include the appropriate article contraction when necessary. In theory, French prepositions are easier than English prepositions because there are fewer of the most common ones. For example, “De” translates to “of” or “from”, and “à” translates to “to,” “at,” and sometimes other related location or movement prepositions. A few places to watch out are when you’re talking about playing musical instruments (Je joue d’un instrument) and sports (Je joue à un sport). Also, be extra careful with those pesky articles! Relevant contractions include “du” (“de” + “le”), “des” (“de” + “les”), “au” (“à” + “le”) and “aux” (“à” + “les”). “De”, “la”, and “à la” do not contract. Use “il n’y a pas de” rather than “il y a pas de”. When using “de” or “de” + an article in the negative, remember that French has lots of exceptions! This is one of them. Remember to conjugate your verbs. While we do this in the English language, it’s not as much or in as much detail as French-speakers. This is especially important when you’re writing because all those silent final consonants and vowels need attention. The singular forms are the most similar in present tense, but are not always spelled the same, so watch out! The English distinction between the present perfect and the simple past isn’t exactly the same as the French distinction between these two tenses. The subjunctive is one of the most difficult verbs in French, if not the most difficult because we don’t use it often in English. Many of us anglophones aren’t even aware of the fact that we use it at all. The first step is to understand the situations in which it is used, and then practice, observe, and correct oneself. Then practice some more, and observe some more, and correct oneself more. Give yourself time to perfect this French grammar rule, but also insist on understanding and using it correctly. Gradually, you will be able to use it successfully. These aren’t the only French grammar mistakes out there, but they are certainly worthy of attention. Keep your eyes open and your ears peeled for other mistakes, and correct them when you can. In no time, you will be well on your way to excellent (and impressive) French usage! December 30, 2015 /3 Comments/in French /by Megan L.
As an English speaker learning French, articles are little words that can still give you big problems. Since French nouns are masculine, feminine, and plural and have different articles to distinguish them, you will need to memorize at least two French articles for each English one. To help you master French articles, we’ve broken them down into groups for you to study. The first thing you need to learn are the English articles so that you can get a better understanding of what to use in French. French articles (like most languages outside of Germanic ones) use other words as articles, and even allow you to omit articles from time to time. The following are considered French articles, although their function is largely the same as in English. Because you have to be aware of the gender of a noun, you have to treat these words the save as an article. Finally, there are special cases where you either need to use an article where you wouldn’t in English or you can omit an articles where you use an article in English. Probably the most widely used English article is the. You use it all the time without having to think about it because there is only one word in English. It is called a definitive article because the word the denotes something that is specific, such as the chair, the stores, or the moment. Each of these refers to a specific thing or group of things. There are four definite French articles that mean the, and those are the le articles. Each of the definite articles has a specific meaning. Le – the masculine definite article. Whenever you see a word preceded by the French article le, that means that the noun is masculine, so if you want to switch to one of the other French articles, you would use the masculine version of the article. La – the feminine definite article. All singular feminine nouns are preceded by la. L’ – the definite article when the noun starts with a vowel. Les – the plural definite article. All plural nouns, regardless of gender, receive the same article, les, to indicate that it is plural. If you have to add the plural indicator (such as s or es) you add les before it. It is a little more difficult to understand the differences if you are a native English speaker because there is no equivalent. English does not have gendered nouns and the language does not differentiate between singular and plural when using the definite article the. This is perhaps why it is most difficult to translate what you know into French with the right use, and it takes a lot of memorization. However, once you memorize the gender of a noun, you can more easily use all of the other French articles. For example, you would say le fils for the son and la fille for the daughter. You would use the corresponding masculine or feminine article for a/an, of, or this. The definite article l’ is similar to the English indefinite article an for the same reason. Saying a apple is difficult, but if you add the letter n it is easier. Both of the French articles for the (la and le) end with vowel sounds that are difficult to flow into another vowel sound, such as enfant (child). The trick is to remember that the French language needs this for their definite articles, not their indefinite articles (the next section). Plural nouns are a little easier because you do not consider gender. Whenever you have a plural noun, you always use les to indicate that you are using the plural form of the word. There is more to know about plurals and les because the French use definite articles at times when English speakers and omit them other times where you would usually omit them. These are covered in the last section. 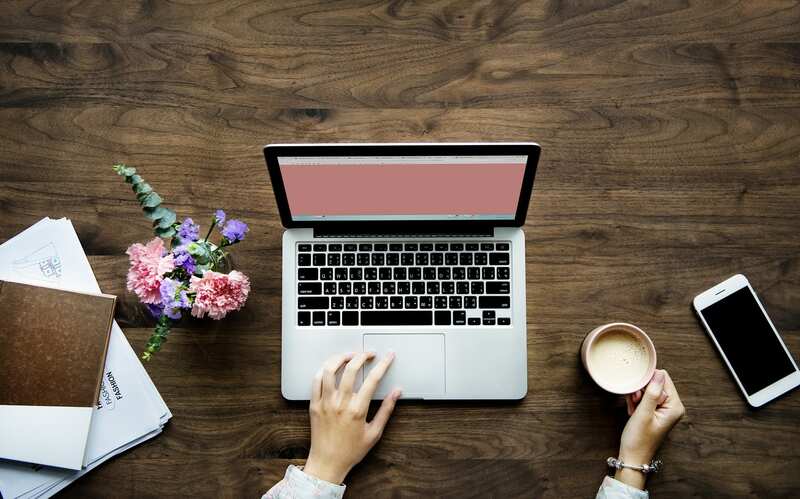 Indefinite articles are used when you are referring to anything that you would consider generic, such as a chair or an apple. When you say you want an apple, you don’t have a specific one in mind. If you have washed an apple and left it on the counter, you would say you want the apple on the counter instead of one of the apples in the basket or refrigerator. The French have an equivalent version for the indefinite article based on the nouns gender and if it is plural. This means there are three articles to learn. Un – the masculine version of the English article a.
Une – the feminine version of the English article a. Des – the plural version, although there is no English equivalent. This one is covered in more depth later in this section. Once you learn a nouns gender, it is a simple matter of using un and une correctly. If you read the information on des, you may have been trying to think of a correlation in English and found yourself confused. That’s because as a native English speaker, you do not think of using indefinite articles with plural nouns. You know not to say a chairs or an apples. In English the indefinite article is always singular. The French language has a different set of rules, and so have a corresponding article, which means that it really doesn’t have a direct translation (because English does not use this article with plurals). Of all the French articles, this one is probably among the most difficult because you will naturally try to do a direct translation, which means you will exclude the required des. Another word that does not have an exact translation, it essentially functions like to the English word “some”. It is used whenever you talk about something that can be divided into smaller parts, such as bread or juice. I would like a glass of juice. The other use for these words is to specify that you do not know the quantity. For example, most of the time you would not each an entire pie, but you probably don’t know example how much. You would say you ate some pie. If you know the amount or are talking about something generic, you would use the or a/an just like English. Otherwise, you would select one of these four partitive articles. De – the masculine article for some. De la – the feminine article for some. De l’ – the article for some when the noun starts with a vowel. Des – the article for some for all plural nouns. Note that this is used when the number is not specified. If you have a specific number, you would say the quantity instead of some, such as I ate nine rolls instead of I ate some rolls. Technically, this is a pronoun, but because it is so closely tied with the article you used in the previous sentence, it is best to discuss it at the same time. The English article this is a rough equivalent for these four pronouns. Do not equate these four articles with gender though because their use is not gender based. Ce – roughly English this or it. Primarily you would use this with verb être (to be) or an impersonal expression. When used, in a sentence, it becomes c’est. C’est une bonne idée. – That’s a good idea. C’est difficile à faire. – It’s hard to do. As the examples show, you can think of it as a contraction with être, just like English uses the contractions that’s and it’s. Ceci and cela – the articles are used with all other verbs for the same purpose. Ceci is used in place of this and cela is use in place of that. Whenever the verb être does not appear, you use one of these two articles. You use ceci to indicate something that is close by (this pie or this color). You use cela to indicate something that is further away (that house or that chair). Determine which of the two you would say, then you can do a straight translation for both of these. Ceci peut nous aider. – This could help us. Je ne veux pas cela, je veux ceci. – I don’t want that, I want this. Ça – the article used for informal this or that. Unlike the others, it is informal, so you would avoid it in any professional realm or public speaking. Keep in mind that while these look like they would follow the same rules as the articles, the use is completely different. It is perhaps the most closely aligned with their English counterparts, it will take you some time to get accustomed to using them. One of the biggest problems with articles is that most languages are not consistent about how they are used. There are a number of instances where you should add the article where you wouldn’t in English. Most nouns require an article. At first it will feel awkward to say j’aime la glace because its direct translation is I like the ice cream. Similarly, Je n’ai pas mangé beaucoup de tarte mean I ate a lot of pie. The most difficult will be the use of articles before plural nouns, whether you are using the French articles that are equivalent to a/an or the. Where in English you would say Horses were running in the field, the direct translation from French is The horses were running in the field. Then you have a few cases where you omit the article, and these largely require memorization. Some set expressions do not include articles, and these you must memorize one by one. Articles are not used when specifying what a person’s job is. When you use de (indicating an unspecified number of something, such as many or lots of) you would not use an article afterward. Articles are always difficult to learn in any other western language. It takes time, work, and a considerable amount of memorization, particularly from a non-gendered language like English. It is best to take it slow and learn them one at a time. Because there is some overlap, once you are comfortable with one set of French articles, you will have an easier time getting accustomed to the others. That is also why you need to really dedicate time to learning whether a noun is masculine or feminine. Do you have any tips for using French articles correctly? Share them in the comments below! October 6, 2015 /0 Comments/in French /by Megan L.
For many language students, the French subjunctive, or le subjonctif, is one of the trickiest French verbs to master. It can leave you with such a headache that you’ll wonder, is it possible to avoid using the French subjunctive all together? In this guest podcast, Caroline from French Blabla reveals several simple conversation hacks that will help you use the French subjunctive correctly, or avoid the need to use le subjonctif in the first place. Quelle bonne idée! The subjunctive is not a verb tense so much as a verb mood used by the French to express feelings, uncertainty, or opinions. We use the subjunctive in English too, but you might not have noticed it. For example, when you say things like, “If I were president…” or “I wish you were here,” you’re using the subjunctive. Like other verb tenses, the subjunctive follows patterns for regular -er, -ir, and -re verbs. Many subjunctive forms for –er verbs are the same as for le present, which can make it easier to use the subjunctive correctly. If you’re wrong about whether a verb should be subjunctive, people can interpret it as the present tense that would often likely take its place. For être and avoir, when the “i” is doubled in the nous and vous forms, it turns into a “y,” like this: nous soyons, vous soyez, nous ayons, and vous ayez. Don’t count on this always being the case, however. If you’re not sure about a new irregular verb, you should look up the root. In French, there are a number of phrases that trigger use of the subjunctive. You will almost always use the subjunctive in dependent clauses that follow que or qui. If the subjunctive still makes your head spin, Caroline offers a few tips in her podcast that will help you avoid having to use it. In phrases like je pense que, you typically use the indicative, however if you say je ne pense pas que, you must follow it with the subjunctive. To avoid using the subjunctive, move the negation to the second part of your sentence. For example, “je ne pense pas qu’il vienne,” can be changed to “je pense qu’il viendra pas,” eliminating the need to use the subjunctive. Another way to get out of using the French subjunctive is to use de instead of que. You can follow de with the infinitive form of the verb, making this one of the easiest ways to avoid the subjunctive. One important thing to note about this method is that using de instead of que does slightly change the meaning of your sentence, making it more general. You can make up for this changed meaning by adding another sentence. Certain expressions, like “il est possible que,” always take the subjunctive. However, in the case of this expression, there are similar variations that call for the indicative instead of the subjunctive. Instead of “il est possible que,” you can say “il est probable que,” or “peut-être que.” Both of those expressions use the indicative rather than the subjunctive. And there you have it. Now you know what the French subjunctive is, how to conjugate it, and how to use it. Plus you have some great tips to help you avoid having to use it if you’d prefer not to. The best part is, if you follow Caroline’s advice, you’ll always sound like a native speaker. What do you think? Is the subjunctive a little simpler for you now? If you have any lingering questions, let us know in the comments below or ask a French tutor for help! Caroline is a passionate French teacher, host of the French Blabla podcast. Her mission is for you to speak like a native. You can find more episodes of her wonderful podcast on her blog. August 17, 2015 /2 Comments/in French, TakeLessons Teachers /by Megan L.
French (and many other romance languages) include a category of verbs, called reflexive verbs, that are treated a little differently than in English. Indeed, we have the same concept in English. We might say that we wash our face, we dress ourselves, and so on. That is, we are taking action towards ourselves. In French, this type of action is addressed by reflexive verbs. Je regarde un film. — I am watching a film. Je me regarde dans le miroir. — I am looking at myself in the mirror. The presence of “myself” in the English translation of the second sentence is a big cue to use the reflexive form of the verb in French. 1) Je _______________ (se brosser) les dents le matin. I brush my teeth in the mornings. 2) La fille _______________ (se coiffer) avant de manger le petit déjeuner. The girl brushes her hair before eating breakfast. 3) Nous _______________ (se lever) à 7h30 du matin. We get up at 7:30 in the morning. 4) Tu _______________ (se réveiller) avant nous. You wake up before us. 5) Vous _______________ (se coucher) à 22h du soir. You go to bed at 10:00 at night. Most other tenses are pretty straightforward, since the same endings still tack themselves onto the end just like other French verbs. The tense to watch out for the most is the passé composé. Reflexive verbs always take être (not avoir) as their auxiliary verb. 1) Je _______________ (se brosser) les dents ce matin. I brushed my teeth this morning. The girl brushed her hair before eating breakfast. We got up at 7:30 yesterday morning. You woke up before us. You went to bed at 10:00 last night. 6) Le garçon _____________ (se coucher) à vingt-et-une heures. The boy went to bed at 9pm. If you decided you were speaking to a man or boy, be sure you didn’t add the extra “e.” Make sure you did if you decided you were talking to a woman or girl. If you didn’t get them all right this time, don’t worry. Either way, keep practicing and using these verbs in context to master them. See even more French verb and grammar lessons here! Do you have any additional tips for memorizing French reflexive verbs? Share them with us in the comments below! Carol Beth teaches French lessons in San Francisco, CA. She has her Masters in French language education from the Sorbonne University in Paris and has been teaching since 2009. Learn more about Carol Beth here! August 13, 2015 /0 Comments/in French /by Megan L.
The French language is notorious for its many irregularities and exceptions to rules, especially when it comes to these irregular verbs. You’ve been studying them, but how well do you really know these tricky French verbs in the present tense? Test your knowledge and find out which verbs could use some more practice. How did you do? Check out our French Verb Guide for more help studying French grammar and show off your score in the comments below! https://takelessons.com/blog/wp-content/uploads/2015/08/irregular-french-verbs-quiz1.jpg 300 720 Megan L. https://tl-cdn.s3.amazonaws.com/images/logoTagline.svg Megan L.2015-08-13 10:14:312018-05-23 08:07:03Quiz Yourself: Are You An Expert In Irregular French Verbs? August 6, 2015 /1 Comment/in French, TakeLessons Teachers /by Megan L.
If you’ve studied French verbs for long enough, you’ve probably studied the passé composé and the imparfait to discuss events that took place in the past. But what do you do when you want to discuss events that happened before other past events? 1) When I reached the end of the path, the sun had already set. 2) When the child began kindergarten, she had already studied cello for a year. The formation of this verb tense bears some similarities to both the futur antérieur and the passé composé. As with both these tenses, the verb form will use an auxiliary verb (avoir or être) and a past participle. Select the auxiliary verb in the same way you would for the futur antérieur or passé composé. Conjugate this verb using the imparfait. So how would the previous examples in English look in French? 1) Quand je suis arrivé(e) à la fin de la rue, la soleil s’était déjà couchée. 2) Quand l’enfant a commencé la maternelle, elle avait déjà étudié le violoncelle depuis un an. Try conjugating the verbs in the examples below in the passé antérieur. 1) Quand je suis venu à la fête, mon frère ______________________ (partir). 2) Quand elle s’est couchée, la fille ______________________ (finir) ses devoirs. 3) Quand la bibliothèquaire a appellé, j’ ______________________ (rendre) le livre. 4) Quand tu es rentré, nous ______________________ (se coucher). How did you do? Either way, keep practicing and checking yourself! Keep an eye out also for uses by other people, and for opportunities to use it in conversation. Correct repetitions, practice, and listening to others use it correctly will help you learn to use this conjugation naturally. Of course, having the right teacher will propel your success in French even farther! July 23, 2015 /0 Comments/in French, TakeLessons Teachers /by Suzy S.
If you’ve studied French verbs for a while, you probably know about le présent, le passé composé, l’imparfait, et le futur. You may also know something about reflexive verbs and verbs of motion, and their particularities in the passé composé. You may even be familiar with le passé simple. 1) I will have done my homework by the time I go to sleep. 2) The construction will be finished before school starts. 3) They will have left for the concert before my friend arrives. 1) J’aurai fait mes devoirs avant que je m’endors. 2) La construction sera fini avant la rentrée. 3) Ils seront partis pour le concert avant que mon ami arrive. The construction of this tense is very similar to the passé composé. In the futur antérieur, there are the same two parts: The auxiliary verb (avoir or être) and the past participle. 1) Tu auras assisté au concert quand j’arrive. 2) En août, je serai restée a San Francisco depuis cinq ans. 3) Ils auront rendu leurs livres à la bibliotèque avant la fin de l’année. Now try a few of your own. 1) Elle _________________ (marcher) cinq kilometres tous les jours cette semaine. She will have walked five kilometers every day this week. 2) Quand nous arrivons, ils _________________ (cuisiner) un repas delicious. When we arrive, they will have cooked a delicious meal. 3) Apres nous vacances cet été, nous _________________ (aller) en cinq pays différents. After our vacation this summer, we will have gone to five different countries. 4) Tu _________________ (se laver) avant 8h si tu veux partir a l’heure. You will have washed yourself before 8am if you want to leave on time. If your passé composé and future tenses are solid, hopefully this wasn’t too difficult. If you did well on the first two but missed #3 or #4, consider also whether or not this was due to a need to review verbs of motion or reflexive verbs. If you are doing well, now that you have an introduction, try using the passé antérieur as you speak and write with your friends, classmates, and colleagues. For more help studying French verbs, work with a one-on-one tutor. French tutors are available to work with you for live online lessons, or in your home depending on location and availability. Search for your tutor now! Traveling to France is a grand adventure where you’ll get to explore the local culture, including all the beautiful artwork and delicious cuisine! Getting around France however, isn’t always so glamorous. For even more essential French phrases for travelers, keep reading. These important French phrases will help you navigate your way throughout France with ease! Familiarize yourself with these important French phrases before your next big trip to France. The best way to experience all that France has to offer is to fully immerse yourself in conversation with the locals. Experienced travelers may even prefer to try an independent driving tour of France, while staying at B&B accommodations with friendly French hosts. These options will give you plenty of opportunities to practice your French! Want to refine your accent and learn even more? Consider taking group classes, or lessons from a private French tutor. July 10, 2015 /14 Comments/by Megan L.
Did you know that not all French verbs follow the regular rules? Keep reading to brush up on some of the most common, irregular verbs in French. We’ll list over a hundred unique verbs that all French students should know. Some verbs follow irregular patterns. Once you know these patterns, it’s easier to identify and conjugate irregular verbs. Here are several common irregular verb patterns you’ll come across as you learn how to speak French. Mettre and the verbs ending in –mettre all follow the same pattern of conjugation. Tenir and venir are two similar verbs that have their own pattern of conjugation. Verbs ending in -ger have a spelling change in the nous form of the verb. An extra -e is added to keep the -g sound soft. Verbs like lancer that end in -cer also have a spelling change in the nous form. The -c is changed to a -ç to maintain a soft -c sound. Verbs ending in -yer change the -y to an -i in the je, tu, il, and ils forms. Some verbs, like acheter, change the -e in the root to -è in the je, tu, il, and ils forms. Finally, there are verbs like appeler that have a doubled final consonant in the je, tu, il, and ils forms. Practicing your skills daily is a great way to learn French verbs and advance to the next level of fluency faster. Need some extra help mastering all of these irregular verbs? Try practicing with a TakeLessons Live instructor, or a private French tutor. July 9, 2015 /7 Comments/by Megan L.
Regular French verbs are among the most common verbs you will come across as you learn how to speak French. You’ll notice that regular verbs come in three types: verbs ending in -er, verbs ending in -ir, and verbs ending in -re. To help you advance in your studies, here is a list of over 100 regular -ir, -re, and -er verbs in French. To conjugate these verbs, remove the -er ending and add the appropriate ending for the subject of your sentence. To conjugate these regular -ir verbs, just remove the -ir ending and add the ending that fits the subject of your sentence. These verbs are conjugated by removing the -re ending and adding the correct ending from the list above. Please note that the il/elle forms of regular -re verbs don’t take an ending. Don’t forget irregular French verbs matter, too. The best way to learn and master French verbs is to practice them every day. Try keeping a journal in French about your day. You can also work on learning one new French verb each day and practice writing sentences with it. For help learning more advanced French, studying with a French tutor is the best way to get the personalized attention that you need to meet your language-learning goals. Bonne chance! February 4, 2015 /0 Comments/by Suzy S.
Connaître and savoir are two French verbs that every student should get to know well. “Savoir” is used for facts and information. I know that Paris is in France. Je sais que Paris se trouve en France. I know that two and two is four. Je sais que deux et deux font quatre. I know that Antoine is is not far away. Je sais qu’Antoine n’est pas loin. I know how to speak French. Je sais parler français. “Connaitre” is an irregular verb used to express knowledge or familiarity. I know / am familiar with this building. Je connais ce batiment. I know / am familiar with Paris. Je connais Paris. I know / am familiar with my best friend. Je connais mon meilleur ami. Il / Elle (He / She) connaît. Ils / Elles (They) connaisent. Pop Quiz: Choose the Correct French Verb! 1) I know my sister very well. – Je (connais / sais) très bien ma soeur. 2) She knows what I am reading. – Elle (connaît / sait) ce que je lis. 3) We know that the sun is bigger than the earth. – Nous (conaissons / savons) que le soleil est plus grand que la terre. 4) They know their country well. – Ils (connaissent / savent) bien leur patrie. 5) I know this is the right place. – Je (connais / sais) que c’est le bon endroit. 6) You know how to speak five languages. – Tu (connais / sais) parler cinq langues. 7) You know your school quite well. – Vous (connaissez / savez) très bien votre école. Normally, “connaître” is more appropriate for knowledge of (or familiarity with) people. What the speaker is reading is (normally) a verifiable fact; he or she can show the title to the other person. Again, this is a scientifically verifiable fact, and scientists and mathematicians have ways to calculate the size of both the earth and the sun. A country is a place; usually, in French, one will talk about familiarity with a place. Though people may disagree about what level you must be in order to count that language among your spoken languages in different situations, speaking at least a few words of a language (or more) is generally considered a verifiable fact here. This case is similar to #4. It is, once again, a place. The subject of this sentence has probably spent a lot of time in their school, and is therefore probably pretty familiar with it. Did you get most of them right? If not, try the French classes at TakeLessons Live to learn more about conjugating both irregular and regular French verbs, or practice with a private French tutor near you. Best of luck on your French learning journey!